We haven't encountered a garage door problem we can't fix at our garage door company, Main Street Door. 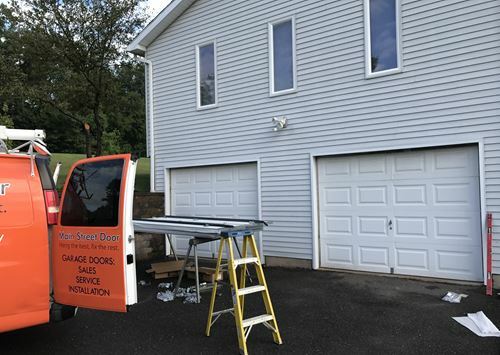 Whatever garage door failure is causing you all the inconvenience in Enfield and making you worry about your home's security can usually be straightened out in one visit. 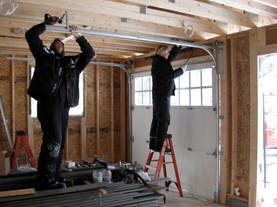 We repair all makes and sizes of residential garage doors, even if we didn't originally install them. Don't be embarrassed to ask us to check out an unusual noise or slowly moving door, either. Those are two of the many signs that something is breaking down. We also reprogram or replace remote controls that have become a nuisance. 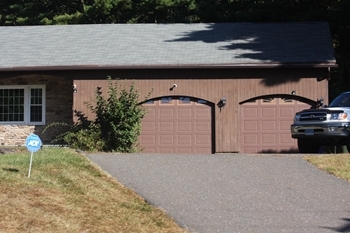 We strive to meet all of our customers' garage door needs in a timely manner and within budget.